As we get closer to Christmas, I feel obliged to opine on the idiocy of this elfin monstrosity, pictures of which are pretty much all you see on Facebook these days. The phenomenon reached fever pitch when Good Morning America co-host Lara Spencer apparently mishandled the elf two years ago. While at first glance you might think that would imply some kind of good-touch, bad-touch incident that would involve an anatomically-correct court room doll, it was nothing of the kind. Based on the outcry, however, you would think what happened was a whole lot worse. 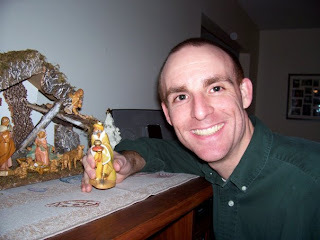 Like I said before, without a child in the house, the Elf on the Shelf is not a holiday tradition my immediate family participates in so forgive my lack of knowledge if I misrepresent what I do not practice. From what I understand, a family acquires an elf, which comes with a keepsake storybook, and names him. The elf then begins its observation of a family, flying home to the North Pole after everyone falls asleep each night to inform Santa Claus of actions, both naughty and nice, returning to its family, but in a new spot which the children must find each morning. There is one major rule though: under no circumstances can the elf be touched by human hands as it will rob it of its magic. Got all that? Good. The rules should remind readers of another Christmas-based critter. 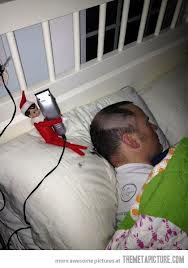 Gremlin-like handling procedures aside, Elf on the Shelf has carved out quite a following since 2005 and only continues to become a fixture in homes. 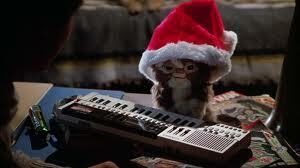 In a story about the tradition, Spencer was accused of no less than stealing Christmas. While she did let slip some potentially damaging information about the elf's nocturnal whereabouts as well as handling the diminutive do-gooder, it's not like Spencer was out to spoil the tradition. Since when is the key demographic for Good Morning America between the ages of 4 and 8? The furor, however, over Spencer's story knew no limits. Phone calls flew in with the speed of arctic pixies. Enraged parents took out their ire on Good Morning America's Facebook page. "THANKS A LOT U MORONS!!!!" one doubtlessly dedicated mom or dad wrote because we can worry enough about what a morning talk show host does but not enough about capitalization or spelling, not to mention manners. Yes, Good Morning America did damage control the next day by explaining it hadn't yet named its elf, hence dubbed Gary, but the damage was done. The show went so far as to solicit the help of the elf's publisher to make the problem magically disappear. I am not criticizing the belief in magic. On the contrary, I subscribe entirely too much to the existence of sorcery. After all, I'm Catholic. But there is a fine line between a holiday tradition and commercial idolatry, one that the elf has crossed. Is this any less creepy? 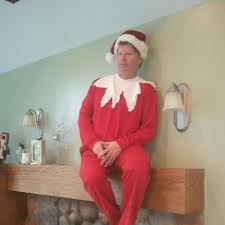 It's fine if your family wants to encourage literacy and read Elf on the Shelf around the holidays. What a wonderful thing to encourage a child's wonder by embracing the idea of the elf's symbolism. 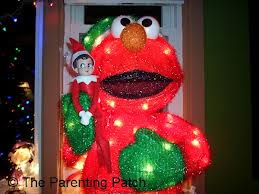 That's great to activate little ones' problem-solving skills by inspiring them to locate the elf each day. But to couch all of this behind blatant commercialism only sets children up for failure. Good behavior is its own reward. Children who grow up with consequences for their actions become better adults. An elf isn't needed to teach these lessons, however, as it only undermines their importance with an ends-justifies-means mentality. According to James Conway in GoodFellas, the two most important things in life are never ratting on your friends and always keeping your mouth shut. Two rules the Elf on the Shelf violates. One time in Target I overheard a mother tell a misbehaving child she was going to text Santa. What ever happened to being good for goodness sake? There may even be a further-reaching social concern. A recently-published study by a professor at the University of Ontario Institute of Technology posited that the Elf on the Shelf prepares children to accept surviellance as part of their lifestyle. So hunker down this holiday season with your Elf on the Shelf if you must, but someday I plan on introducing a child to my own special friend, Jesus on the Dresser (TM). For to quote my niece, "Jesus has an Uncle Pieter" too.